Empowering individuals and groups enhances their contribution to, and enables them to benefit from, poverty reduction. This chapter, which treats empowerment as ‘enhancing an individual’s or group’s capacity to make purposive choice and transform that choice into desired outcomes’, presents an analytic framework rooted in the concepts of asset-based agency and institution-based opportunity structure. After describing the framework and its component parts, the chapter references five country cases where the framework has been used to examine empowerment in a range of cultural and development settings. Grootaert, C. (2003) Assessing Empowerment in the ECA Region. 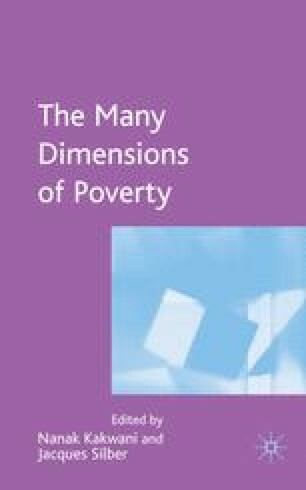 World Bank ECA Region’s study on the Non-Income Dimensions of Poverty. Paper presented at the World Bank Empowerment Workshop, 4–5 February, 2003. Accessed at http://www.worldbank.org/poverty/empowerment/events/feb03/papers.htm, 22 June 2003.